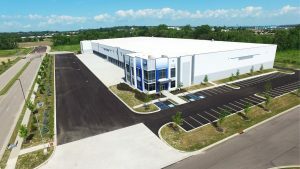 Monroe, OH—Furlong Building has completed its largest project to date in the company’s seven-year history. A 143,000 sq. ft. bulk warehouse building with a 20,000 sq. 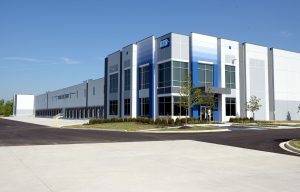 ft. parking lot was completed for IDI Gazeley at Park North at Monroe, a master-planned logistics park located along I-75. The building includes 25 dock doors and two drive-in doors, with paved and striped trailer and car parking for over 100 vehicles. Located within the Cincinnati area’s commerce hub, Park North is within a two-day drive of 60% of the United States population. For leasing information, contact Jeremy Kraus with CBRE at 513-369-1307 or by e-mail at [email protected]. Furlong specializes in design-build construction, additions and renovations for commercial, industrial, office, medical and retail projects. The company currently has thirteen employees and was awarded the Tri-State Success Award by Cincy Magazine for the second year in a row. The company was named to the Business Courier’s Fast 55 list of the region’s fastest growing companies in 2013, 2015, 2016 and again in 2017, and has been named to the Northern Kentucky Chamber of Commerce Emerging 30 list of growing companies in 2014 and in 2016. Services are provided throughout the Tri-State and Midwest Region including Ohio, Kentucky, Indiana, Michigan and Tennessee.